Always carry your guardian angel with you with this rose coloured Engelsrufer. 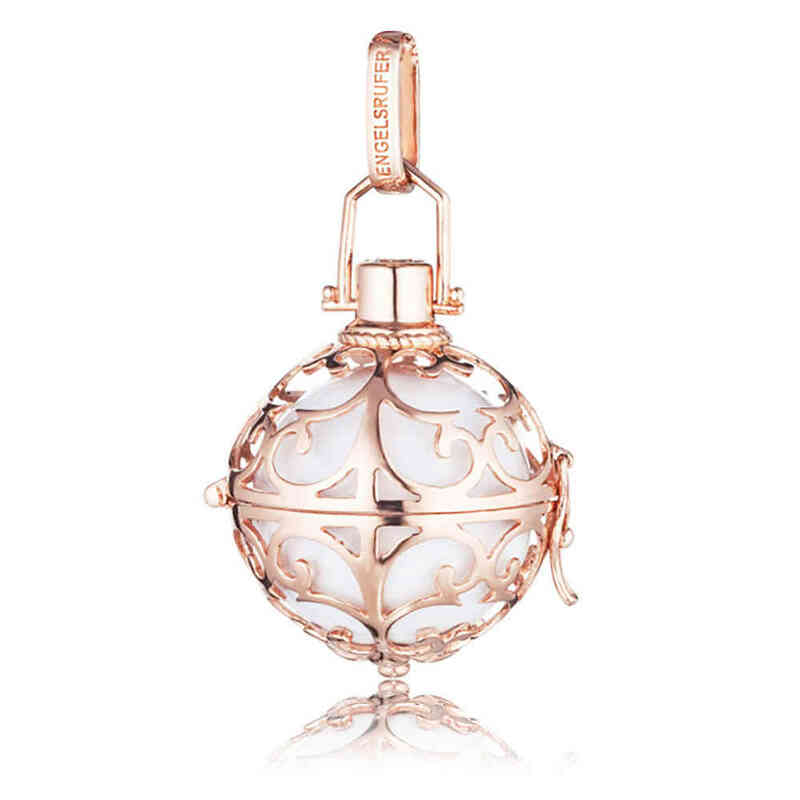 You can see a white sound ball by looking through the pendant's detailed ornament. The sound ball can be changed by opening the cage. This means you can always adjust your Engelsrufer to your personal mood or to your outfit. The pendant's crown is decorated with a white synthetic zirconia. Gently swinging the pendant will cause a soft sound calling your guardian angel. This Engelsrufer is made of 925 sterling silver 18K rose plated.The White sound ball represents brilliance, perfection, innocence, purity and morality. The sound balls are available in 9 different colours each with a different meaning.